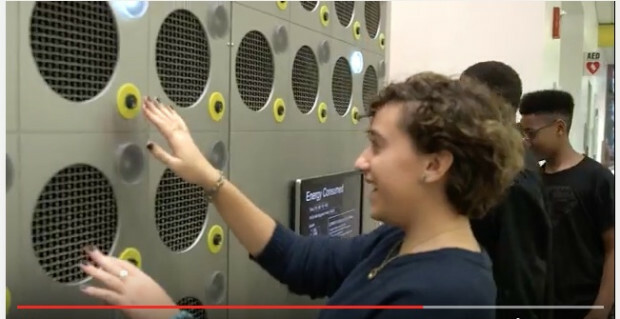 Artist, musician, and architect Christopher Janney greeted students at a Cambridge, Massachusetts school as they encountered his latest "Urban Musical Instrument"—an interactive 7x32-foot wall that produces light, harmonic tones, and indigenous bird songs in response to their touch. The piece, titled Light Shadow: MLK, makes the young teens, a notoriously tough crowd, laugh out loud with curiosity and delight. 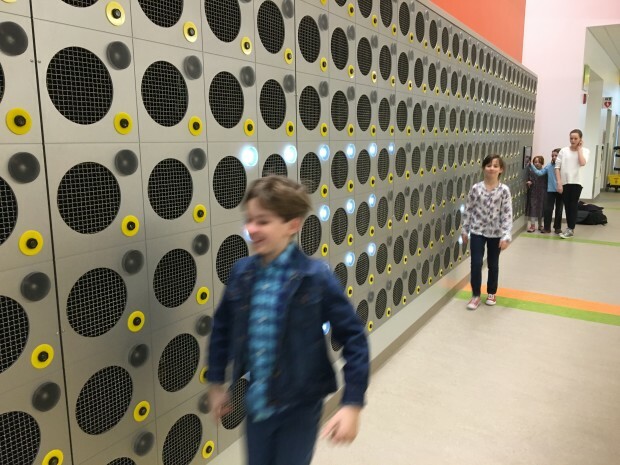 Janney’s interactive light wall is composed of 200 sensors and lights and 16 audio speakers. The motion of people walking by triggers the lights ands sound-score composed of ever-changing melodic instruments and environmental sounds indigenous to Massachusetts. Lillian Hsu, Director of Public Art and Exhibitions remarked, ”We are thrilled that the City of Cambridge will have a project integrated into the Martin Luther King School and the school’s daily life that is created by Christopher Janney.” The artwork will also serve as a laboratory for STEAM (Science, Technology, Engineering, Arts and Math) learning. The artwork was the result of a national competition administered by the Cambridge Arts Council. The entire process took three years from Janney creating the design to completion within the new building. The work was fabricated in Janney’s 4000 sq. 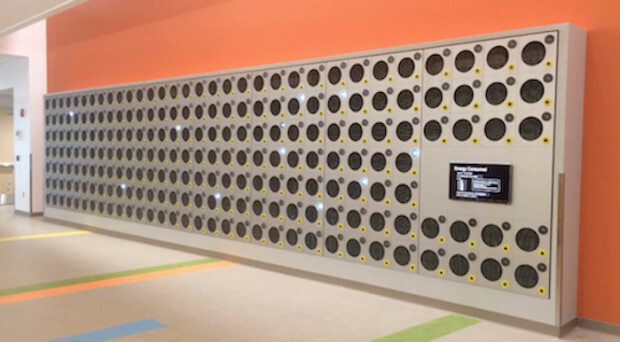 ft. Lexington, MA studio and installed by his crew in collaboration with the school’s general contractor. Under the direction of Christopher Janney, PhenomenArts, Inc. is a group of architects and musicians creating large interactive light/sound installations for public spaces. 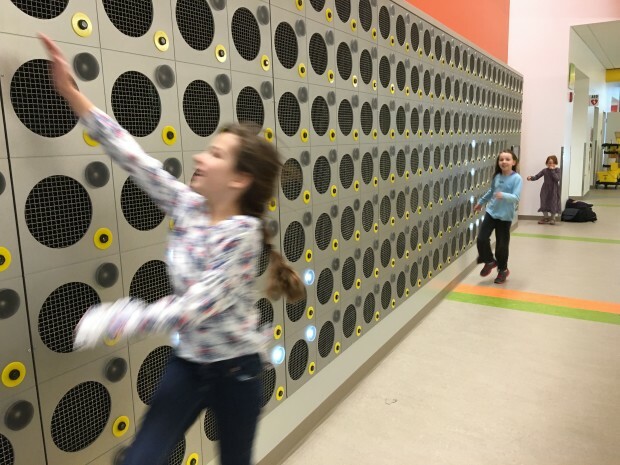 With studios in Lexington, MA and London, UK, they have created over thirty-five permanent works, including “Sonic Forest: Zaragoza”- 22-column interactive park in Zaragoza, Spain, “Touch My Building,” a 7-story installation in Charlotte, NC and “Turn Up the Heat”- the scoreboard of the Miami Heat Arena.